Word on the street: Is ComplexCon 2019 coming to Chicago? Get ready, y’all. It’s looking like Chicago is about to become the place to be for the next two years. Word on the street is that ComplexCon, the world’s largest gathering of pop-culture visionaries, may be coming to Chicago in 2019. Chicago’s self-made fashion icon, Joe FreshGoods, mentioned the news on Twitter this week. “Been knowing about this for months. Was waiting on the word to get out. Gonna be exciting to see the Midwest finally get some love. Also, yes. I will be doing a few crazy things. This is true,” he wrote on Twitter this past Tuesday. The TRiiBE reached out to the folks over at ComplexCon, who didn’t deny the news nor confirm it. “Please be advised that next year’s venue and schedule is not yet determined. You can sign up to our newsletter or follow us on social media for updates,” the ComplexCon email said. 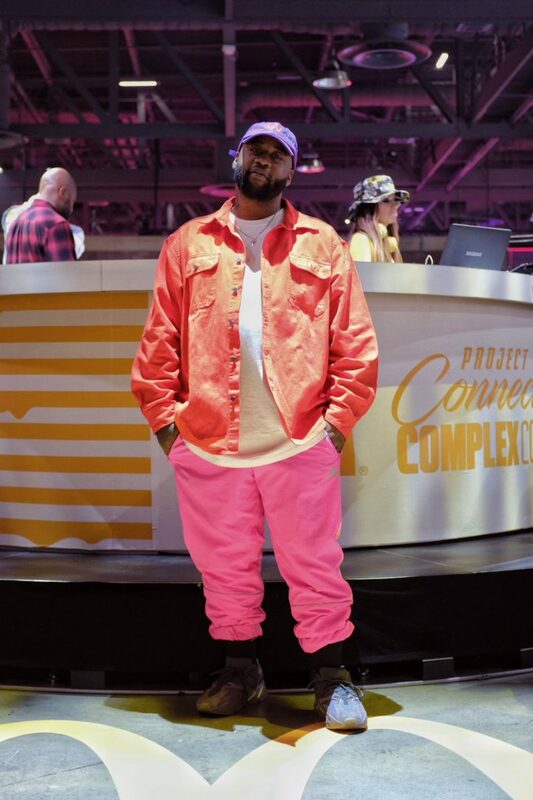 This year’s ComplexCon, which took place in Long Beach, CA from Nov. 3-4, featured a long list of art and entertainment superstars. Off-White creator Virgil Abloh, who is one of the biggest stars in fashion right now, lead a panel called “The Next Generation of Design as Seen by Virgil Abloh.” Insecure’s Issa Rae, alongside Chicago’s own actor/writer Lena Waithe and more, spoke on a panel called “Women Behind the Lens,” which was moderated by Jemele Hill. Joe FreshGoods and Chicago visionary photographer Elise Swopes also were highlighted at the conference. Check out the first meeting between some of Chi-town’s most creative artists, @Joefreshgoods and @Swopes, and see what went into their collab that will be available ONLY at @ComplexCon! If the news about ComplexCon 2019 is true, Chicago would be in for an exciting next two years. In February 2020, the NBA All-Star Weekend is making it’s way back to Chicago’s United Center. It’ll be its first time back since 1988. Maybe the world is starting to recognize Chicago for the cultural hub it is.